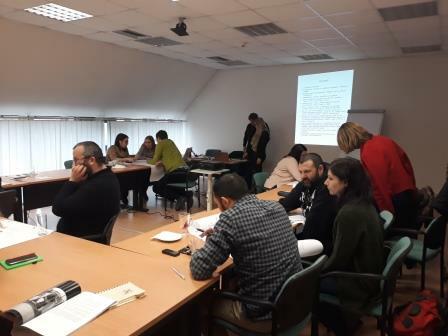 During the study visit in Kosice, Slovakia, held in 21-24th of January 2019, the Bulgarian group was introduced to the activities that ETP Slovakia implements as part of Project RARE – Changing discources, changing practices, Roma as a human resource. During the visit the representatives of the partnering organization shared their experience in changing stereotypes and attitudes towards Roma, as well as some of the differences in Bulgaria and Slovakia when it comes to the attitudes towards the Roma at the labor market. 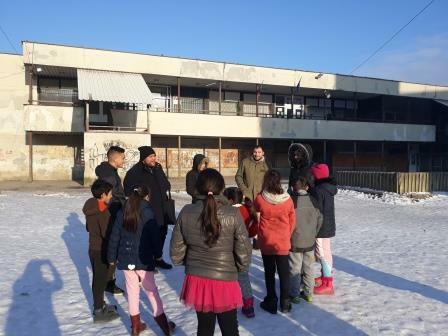 The representatives of Amalipe visited the “Lunik IX” settlement and had a chance to meet activists, who organize activities for children in the local culture center. The settlement houses one of the largest Roma communities in Slovakia and it is one of the challenges for Kosice, with its rate of unemployment close to 95 %, as well as the challenges before its residents, due to the bad quality of life and discrimination. During the visit the educational mediators from Bulgaria shared their experience in the work with children and parents. During the visit was organized a meeting in local labor office, where was held conversation concerning state policies, dedicated to increasing the motivation of the unemployed in Slovakia; as well as the organized trainings for improving the capacity of the labor office experts as part of the activities of RARE Project. The Bulgarian group took part in the training, organized by ETP Slovakia, on the topic ‘From poverty to self-sufficiency”, during which in front of the representatives of the non-governmental sector was presented the methodology, created by ETP, dedicated to better understanding of the communities, living in poverty and for better development of activities and services , suitable for the needs of such communities, as well as changing the attitude of the professionals, working with the Roma communities. 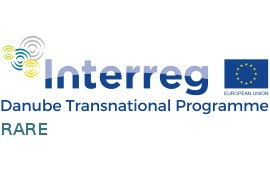 The final part of the visit was the event IntegRAre, dedicated to sharing stories of the marginalized groups in Kosice, Slovakia and aimed at encouraging the dialogue on the topics of discrimination and inclusion. Residents from “Lunik IX” and immigrants from Iraq and Afghanistan participated in the event.